The conservative Partido Popular (PP) majority on the Justice Committee of Spain’s Senate last week quashed a motion advanced by Valencia’s regional Compromís party to request an official apology of Germany’s current government 80 years after the 1938 bombardment of civilians by German dive-bombers of the infamous “Condor Legion” in four towns in the mountainous Maestrazgo or Maestrat region of Valencia’s Castellón province. 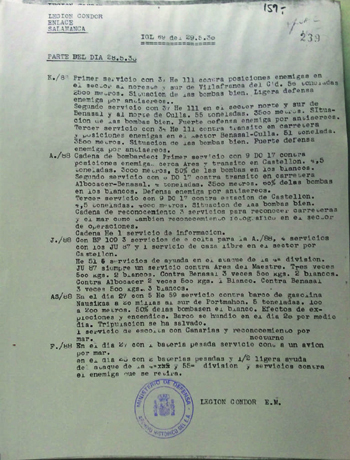 In defending the vote blocking the resolution, Manuel Altava, a PP Senator and party spokesman, drew the ire of Compromís and the Valencian PSPV affiliate of Spain’s Socialist party after he denied that the bombings were the work of the Condor Legion and tried to blame Spanish Republican authorities for not having evacuated civilians from the towns in the face of what was, by all historical accounts, a surprise attack on four small towns with no ground-to-air military defenses. 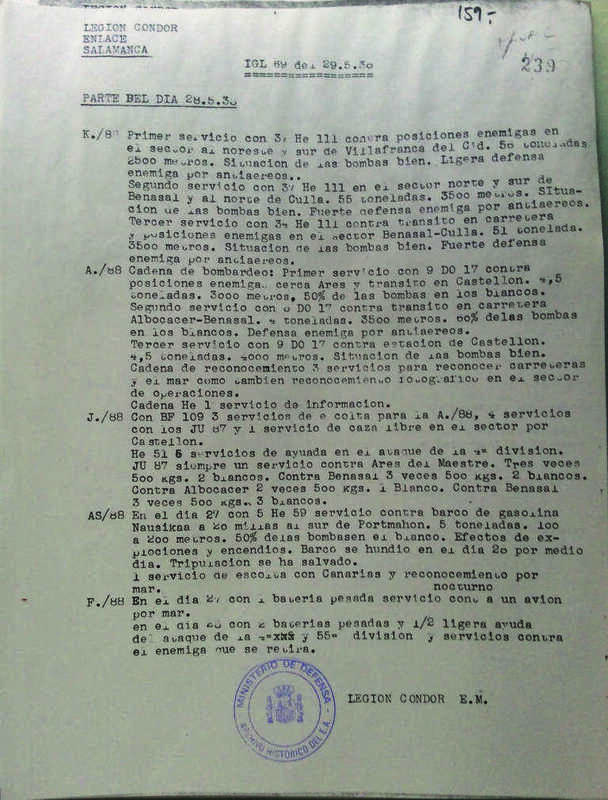 The Compromís resolution, backed by all other parties in the Senate’s Justice Committee but defeated by the PP’s majority of votes, would have called on Germany’s Bundestag parliament to issue an apology for the bombing raids conducted by Stuka dive-bombers over a four day period in May 1938 against four towns of no particular military significance in the Maestrazgo region, resulting in the death of 38 civilians. 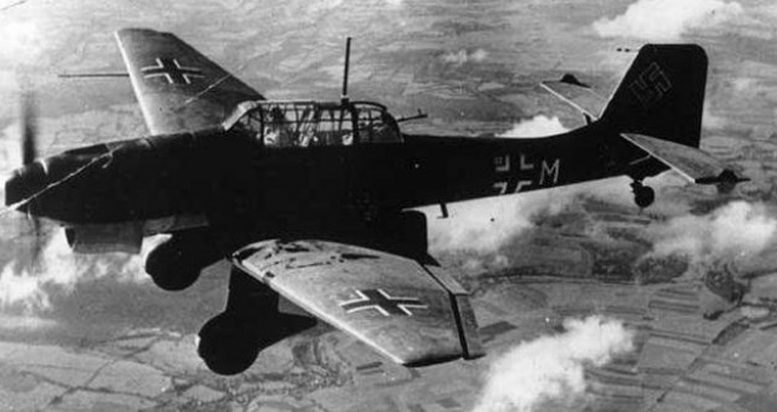 The raids are widely recognized by historical researchers as having been ordered directly by Adolph Hitler, as a means of testing the efficiency of Nazi Germany’s new Ju-87A Stuka dive bombers, which were subsequently proven to be a key asset in German military attacks elsewhere in Europe during World War II. Researchers have established that the Ju-87A Stukas were first used against live human targets in the Maestrazgo attacks by the Condor Legion, which was assigned by Hitler to Spain to assist the advance of Nationalist troops under the direction of Gen. Francisco Franco in his drive to overthrow the Spanish Republican government. The German pilots of the Condor Legion was responsible for bombing and strafing of civilians in Republican-held territory across Spain. The most infamous attack by the Condor Legion during the civil war occurred in the Basque town of Guernica, where it is estimated that as many as 1,600 civilians were killed and 889 injured when the German planes bombed the town on market day in April 1937. Germany’s government has officially for the German military’s role in the bombing raid on Guernica.